Maia had the most liked content! Maia chuckled. "Paperwork is the absolute bane of all occupations." She had listened to Delgath's story of the origin of his mount, and nodded. Her own bike held some of her own power, so that it didn't need fuel in the traditional sense, but there wasn't some grand explanation, just some help from her fiancee. Maia's morning was a report to the actual Ambassador for the enclave, followed by a generous breakfast. She had gathered everything she planned to take with her on the trip, whereever they were actually headed. It was easy for her to spot Kamala, and She made her way across the square to her. "Good morning." Her smile was genuine and happy. "Are you ready to go?" she looked around not spotting anyone else, and wondered when they'd all be along so they could start their journey to recover the seed. Quickly the nearly angelic looking dragoness in disguise began to control the flow of people, using her appearance and the firery wings of light on her back to cast the right image, keeping them from crowding Kamala as she worked to heal the hurts and injuries of those brought to her. She spoke calmly with them, and made each of them feel at peace and took away their fears. Kamala would tend them all in turn, and they would all believe in the two. It was a good start for them both, working together to help others. My mother and siblings told me about the stars before, the shapes, the power they once held. I never saw them, at least not that I remember, so it would be something new for me, which I'm normally pretty game for." She smiled but it seemed somewhat sad. "It's sorta weird though, seeking worship from others, that's not why I do what I do. I get wanting to guide others to a better life, and if they choose that, great, but what about those who don't listen?" She was no stranger to revering a God, Bahamut was thought of as a Dragon Deity after all, and there were others, he was just the one that was most well known, and spoken of. She thought about going home, knowing their would be many who would revere her for her position, but that wasn't the sort of Dragon, or goddess, she wanted to be. She wanted their respect for things she did, the good she did, and to learn from mistakes she made. It made her think, and realize how long the road ahead would be. "Maybe we can keep working together, You love the night and the stars, and me, well, I'm definitely a "Day" person...." She gave Kamala a happy smile. They could help each other, it's what friends did. Seeing the group break up, at least for now, Maia went after Kamala. She'd formally invite her to see Dracian once they'd gotten the seed, and tell her the truth about herself. As she neared the square she felt the power Kamala'd sent forth into those nearby, and smiled. She drew near to her friend with that almost Divine smile. "One must always be true to their nature..." she chuckled softly. "Or at least that's how I've heard the saying goes." She looked around, and sniffed the air, "It is totally different here than home, but one day, I imagine it may not be quite so." Maia had of course heard the spiel before from others, and it was pretty awesome, in its way. Still it wasn't home to her. Even after the time she'd spent here. She couldn't help thinking of Dracian, her mother and her siblings, and of course, the one who'd be her husband one day. There was alot to do before that happened, though after this next journey, she decided she would go back home for awhile to catch up, and recharge. She smiled at the thought of bringing Kamala with her, she did promise the healer that she would one day, and so far there just hadn't been the opportunity. "So, we meet back here later and then set out to find this Genesis seed then?" Maia looked over at Kamala, the only one she'd call "friend" there and really mean it, and then took note of their surroundings, they were at the city gate, and she still had her wings out. They quickly vanished, and She too was bathed in the Power of the Words, anda part of her knew Bahamut had gone through such as this, however long ago it was. She knew she could take it, that she would prove herself worthy on her own, but a teaching that both her mentors drilled into her was that it was not weakness to be among others, That the bonds between others could be a strength unto themself, one that could eclipse even that of others like them, So she knew instinctively that this was something she had to do, that she wanted to do. "Of course." She accepted the Power of the Word with those two syllables, and then stated her own desire. "A Beacon of Hope and Justice." Perhaps it was cliche, but Justice was something important to the people and dragons of Dracian, and Hope, well all life needed Hope. "An inextinguishable light in the darkness of the world." She didn't know what form her words might take, but she knew they were from her heart, a part of herself. Brialliant wings of light simply came into being from Maia's back, as everyone seemed to be preparing to return to the Arcology. She heard Sota's excited exclamation, which made her pause and head over to where she was. "Is that so surprising in this new age? I mean it is fantastic in its way, and I'd be interested to know anything discovered about it. I am somewhat more concerned with what it said, and how that affects those of us here. Still it's best to be on our way, before they decide it's worth coming back for. Much as it is an unknown, I do feel it would be safer to conduct any studies of it in the safety of the Arcology as opposed to the open field." Maia noted the gem with a draconic, almost predatory look before someone else took it. Sometimes it was hard to resist that particular aspect of her true self. She could feel power coming from it, but that wasn't why she'd come out here. She was glad the people were safe and the greatly reduced monster horde was retreating. She watched them go and smiled, her gauntlets returning to their normal simple bracer form, and She moved over to the redhead where she questioned the survivors about the gem, eager to hear the tale of how they came to possess it. For those not enthralled by the chaos and carnage of the battle, or the stunning redhead wielding a flaming blade, They would notice that for a moment there was a second sun in the sky, one that was drawing closer with each moment, until finally in a flash of light, corresponding to the slaying of an ogre who found himself suddenly without a head. 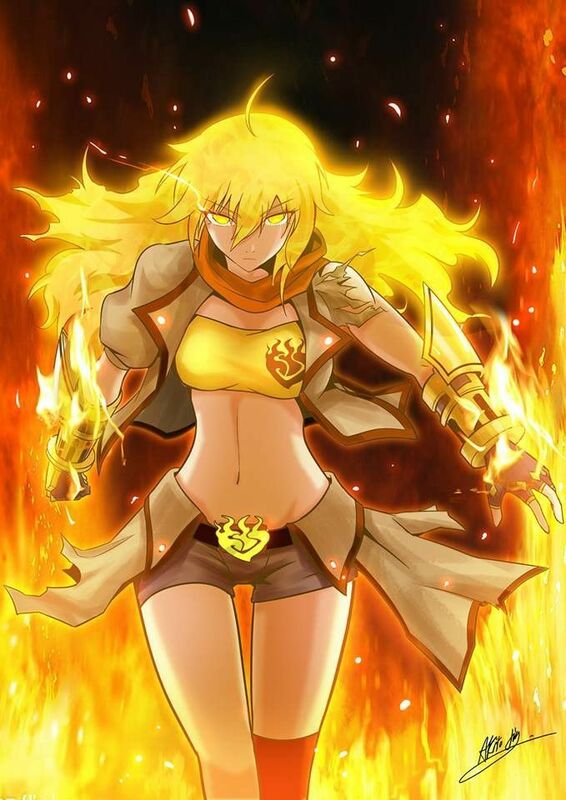 A beautiful woman, Golden blonde hair flowing behind her, an aura of sunlight wreathing her, landed on the ground in another part of the battlefield, her wings which seemed to be of feathered sunlight vanishing, but the aura of light which wreathed her didn't, and two large golden armored gauntlets surrounded her forearms and fists. The Lizardmen, they'd never heard of such things, and thought only to slay her, drowning her under waves of numbers, moved toward her. Maia smiled, and drew back her fists, the faint sound of a gun being cocked, missed in the din of battle. Punching forward she sent a blast of magical power crashing into the nearest throng of Lizardmen, blowing off limbs with explosive force, and then another group with the other fist. Blast after blast crushed more foes, before some finally drew close enough to engage her from behind. Dodging spear and clubs and crude blades, she wasn't quite the Avatar of combat as others, but the mighty blows of her fists, feet, and weapons were beyond what a normal mortal could manage. Smashing and crushing all who stood before her. Through it all, Maia smiled. She enjoyed fighting and moved to drive the rest of the Lizardmen away, knowing more from the Arcology were likely enroute. She was quite thankful that she didn't need to take her true form to fight, as she'd been warned to be careful about who knew it. Age- 25 height-6' weight- not telling Hair-golden blonde Eyes-Indigo level- 1 Exp -0 Divine words- Dragon, Sun, Passion Maia is a happy adventurous young woman with intense curiosity, yet tempered with knowledge that there's a goal and a life she's working towards. Possessed of Iron toughness of mind and body, and a radiant beauty that would have made her among the top models of the old world, She makes friends easily, lives hard and plays hard. Maia is loyal to her word and those she calls friend. She is the assistant emissary from the Dragon/human city of Dracian to the HPV Arcology, and a known problem-solver in the region, being quite adept at slay many of the monsters in the area. Maia spread her wings and looked around. "Well I'm going to see if I can occupy that Dragon." 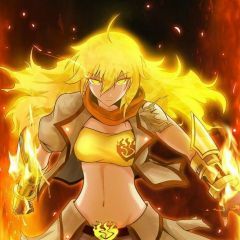 In truth she had wanted to handle the rex's, but fighting a "Real" dragon, well, that was something she felt was best done by her, and inwardly found it hilarious. It was a deeply held fantasy from her younger days, those rare times playing D&D, even couple sessions in college with her daughter on her lap, where she was a paladin fighting to slaw a dragon, and now here she was getting to do it for real. "Hell of a first day on the job." She did have a real sword start with, something that had been made to withstand her physical strength (actually for someone stronger, but it was still light enough for her to use, before she broke out something quantum fueled. The Dragon wasn't all that hard to find. She knew Eidolon would be busy saving planes, it was her job to insure it didn't get anymore. Maia nodded. "Well said, let's go, I'm sure we can deal with a rampaging blast from the past." In part, she actually was, If they were simply beasts returned through the power of quantum, and hurting people, then it was simply in the best interests to put them down. If they could be subdued through the powers of others, and made docile, that was great, but if not, Euthanasia would be their lot. She was certain of one thing, she was glad her daughter was up here, at least she'd be safe from such insanity.